The Batman is quite serious about keeping your papers down! This Batman Bust DC Comics Resin Paperweight features the Dark Knight in what could be called an avenging pose, fists clenched and ready for action. 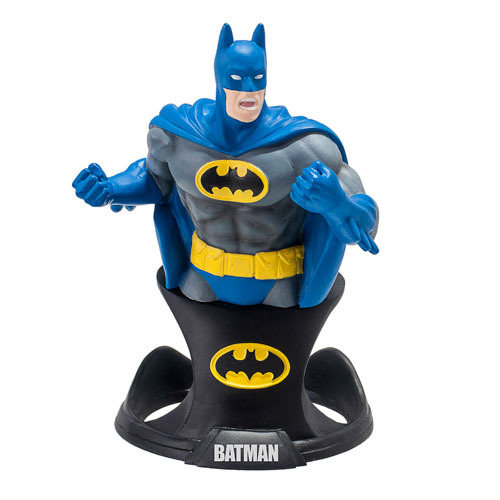 With the Batman bat-symbol on the base, this great paperweight is sure to add some awesome Batman flair to your desk at home or at work! Measures about 5-inches tall. Ages 14 and up.